US President announces Singapore Summit is "back on"
The American president calls it “getting to know you – plus,” announcing Friday that the Singapore Summit he had previously canceled, is back on. “You people are going to have to travel because you’ll be in Singapore on June 12th,” said President Donald Trump. He spoke to reporters after he and Vice Chairman Kim Yong Chol met for more than an hour in the Oval Office, Friday afternoon. It was the first time since 2000, when Bill Clinton met DPRK military leader, Jo Myong Rok, in that same office. 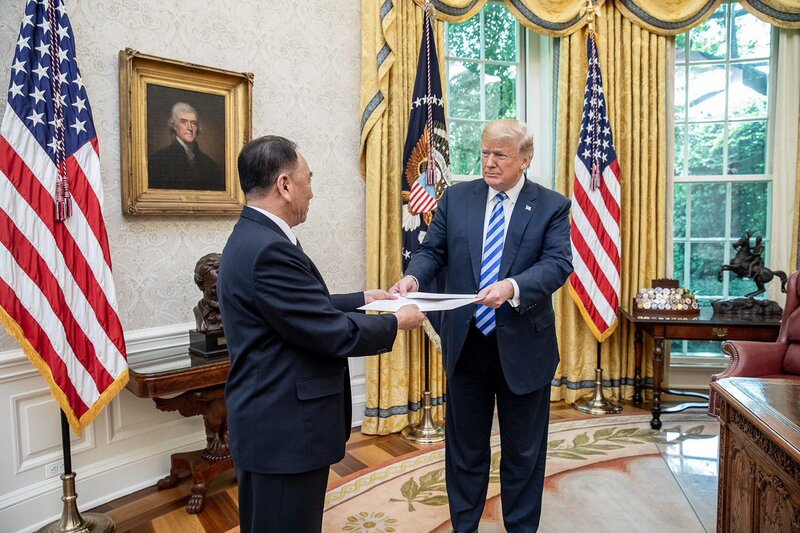 This time, Pyongyang’s envoy, Kim Yong Chol came to deliver a letter from Chairman Kim Jong Un. Trump said he and Kim discussed a lifting of international sanctions, officially ending the Korean war, and denuclearization. But did Trump get a commitment from Pyongyang to completely get rid of its nuclear weapons — the complete, verifiable, irreversible denuclearization — of the Korean peninsula? Trump showed a striking change from last year’s threats of ‘little rocket man’ name-calling, demonstrating he is now willing to spend time “getting to know” DPRK leaders and also — withhold additional U.S. sanctions. Tokyo and Seoul have a lot riding on the outcome. Prime Minister Shinzo Abe will meet with Trump June seventh at the White House, and South Korea’s President Moon Jae-in is said to be looking to join Trump in Singapore for the summit.